Home › A Non-Oedipal Psychoanalysis? Introduction: From Real Trauma to Oedipal Phantasy? Introduction: a Disposition towards Literature? Lacan and the Homosexual Young Woman: between Pathology and Poetry? 2. A Lacanian Clinical Anthropology of Hysteria and Perversion? Tomas Geyskens is doctor in philosophy and a practising psychoanalyst (Belgian School for Psychoanalysis). Deze bijzonder heldere studie die (en dat zullen de auteurs mij, gelet op hun conclusie, wel vergeven) bijna leest als een detectiveroman, laat op toegankelijke wijze zien hoe psychopathologische symptomen de basisstructuren van het menselijk leven blootleggen die tevens de bron zijn van de hoogste vormen van cultuur. Het boek is in ieder geval aanbevelenswaardige lectuur en stimuleert tot nadenken, zowel binnen het domein van de filosofie, van de klinische praktijk als van de psychoanalytische theorie. 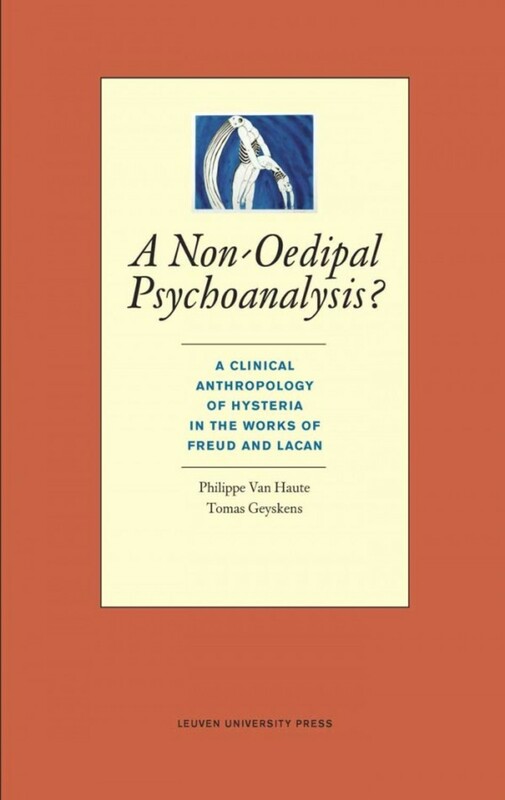 A strength of the book is that Van Haute and Geyskens make Freud and Lacan accessible to those who may have only a cursory knowledge of the two thinkers and their often confusing technical terminology. Van Haute and Geyskens' careful explication of two of Freud's clinical cases (Dora and the young homosexual woman) serves as the evidential ground from which they pose theoretical claims regarding hysteria and its implications for human existence. Correspondingly, this book may serve as an excellent beginning text for philosophers to inquire into the field of psychoanalysis. Van Haute and Geyskens raise a number of points which may be fruitful to pursue in more depth and from certain philosophical perspectives (especially metaphysical), including the hysteric's relation to knowledge and the non-rapport between the symbolic and the real or language and the void.